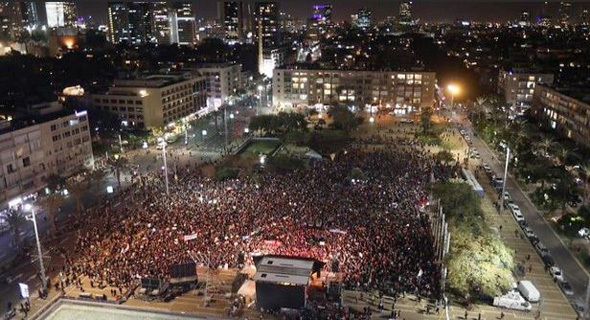 In a culmination of what civil organizers called a national day of rage, thousands demonstrated in front of the Tel Aviv City Hall Tuesday night against the rising violence targeting women in Israel. So far in 2018, 24 women and girls ranging in age from 13 to 91 were killed in the country by a partner, a relative, or someone they knew, the most killed in one year since 2011. Protest activities engulfed the country in recent days, following the consecutive murders of two young girls. On November 26, 13-year-old Sylvana Tsegai, an Eritrean refugee living in Tel Aviv, was murdered, allegedly by her mother’s partner. 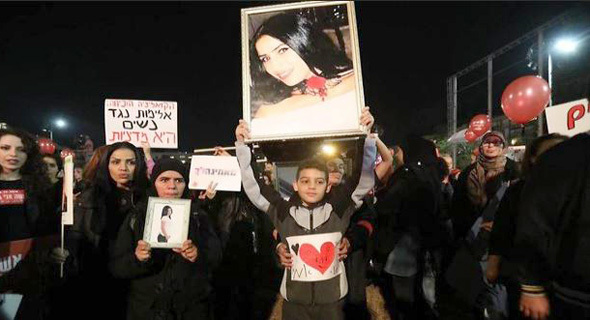 The same day, the body of 16-year-old Yara Ayoub was discovered in her hometown, the Arab Galilee town of Jish, following a five-day search. Speaking at the Israeli parliament on Wednesday, Prime Minister Benjamin Netanyahu said that violence against women in the country is equal to terrorism, and should be addressed as harshly. In November, Netanyahu, along with most of his government and parliamentary coalition, voted against a motion to establish a parliamentary inquiry committee dedicated to addressing violence against women. While considered equal before the law, women in Israel do not enjoy social and financial equality. Most women in Israel earn less than their male counterpart, and face a myriad of discriminations in their workplaces, by service providers, even in governmental institutions and hospitals. Out of 120 seats in the Israeli parliament, 34 are held by women, the highest number in more than 70 years. According to the Israeli 2018 democracy index, published Monday by the Israel Democracy Institute (IDI), a large percentage of Israelis, 41%, recognize that women’s status in the country is still lower than men's. 78% believe that Israel should enforce equal pay for women through legislation. 62% of Israelis believe that funding for political parties should be contingent on equal representation of women. 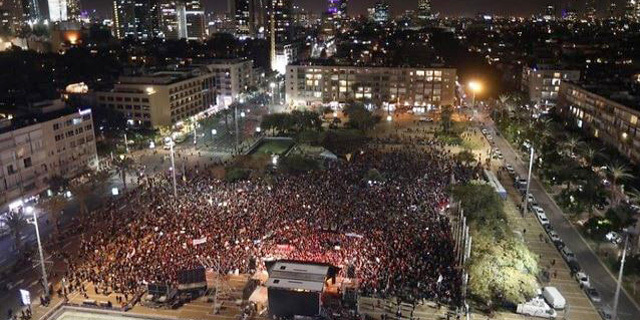 On Tuesday, demonstrators blocking roads in the vicinity of Israel’s Ben Gurion airport caused nine flights to be delayed. Major traffic arteries were blocked in Tel Aviv, Jerusalem, and other cities, including the predominantly Arab towns Tira, Tayibe, and Qalansawe. Of the 24 women killed this year in various acts of gender-based violence, 12 were Arab. According to protest organizers, more than half the women killed had been known to authorities and had filed complaints with Israel Police. Many government agencies and local authorities said employees wishing to protest must do so at the expense of their own vacation time. Some companies expressed support of the cause by allowing employees to demonstrate and go on strike at no financial cost. These include Israeli banks Hapoalim and First International Bank of Israel, drugstore chain Super-Pharm, and tech companies Google and Facebook. Academic institutions also participated with walk-outs, demonstrations, and marches.